Congratulations on your new marriage! If you marry a person who already has a child or children, you will need to consider if you wish to officially adopt the children of your new spouse. There are many considerations you will want to make when it comes to making this big decision. When making the decision to adopt the children of your new spouse you need to make the decision based on your own family dynamics. What’s right for someone else’s family may not be right for you. Every family and situation is different and should be treated differently. Make sure the decision is right for your family. When making the decision, you may be able to include the thoughts and desires of the child and your spouse. This is a big decision that involves a lot legally and emotionally as well. 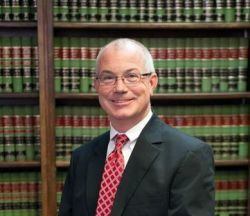 Stephen H Hagler, LLC Attorney at Law will help you navigate all of your legal issues. To address emotional needs of all those involved, it may be advantageous for you to enlist the help of a counselor or classes to prepare for the variety of emotions that will occur during the adoption process. The stepchild’s other biological parent will need to relinquish his or her parental rights. Signing of a “Petition for Adoption completes this process. In addition, your stepchild must give consent if they are over the age of 12. Contact Stephen H Hagler for all of your step-parents adoption needs in Georgia.